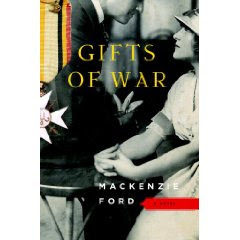 Gifts of War is the debut novel from Mackenzie Ford (a pseudonym adopted by a writer of historical work). It starts on that historic Christmas in the trenches of WWI when Germans and English alike put down their weapons and celebrated Christmas together. Hal, an English officer, meets Wilhelm, his German counterpart, who asks him to pass a photograph to Sam, his English fiancee reassuring her that he is safe and well. Hal is surprised at the fact that a German has a British fiancee, but agrees to pass the message on whenever he can. However, Hal is fascinated by Sam's photo, and when he meets her in the flesh, he is captivated. In fact he is captivated to the point where he omits to mention Wilhelm, but instead starts to court Sam himself. 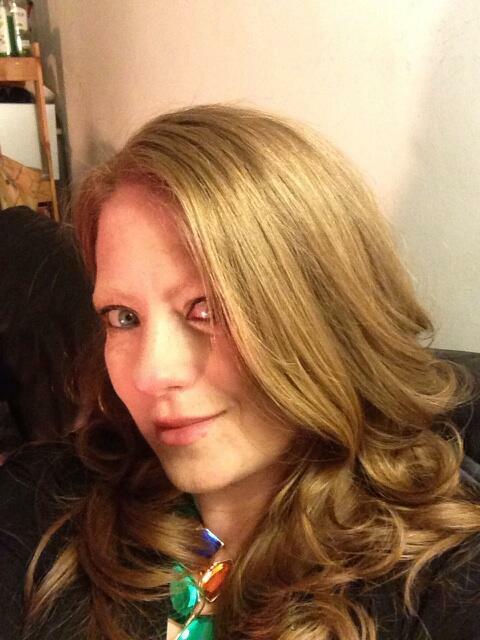 Sam is in a tough position, she has a young son from her relationship with Wilhelm. Being an unmarried mother in WWI England is bad enough, but at least no one knows that her son is half-German. Hal eventually wins Sam over and they enter into a life of conveniance. A wife will help Hal in his burgeoning intelligence career in London, while Sam will have a husband and her son will have a father. Although Hal is in love with Sam, she does not return the feeling as she is still very much in love with Wilhelm but she is willing to accept a relationship with Hal. It is here that the selfishness of the two main characters becomes apparent, and indeed, they appear well-suited. Hal hides Wilhem's truth from Sam, while Sam gives Hal everything but her heart. The historical detail with which this novel is imbued brings the story to life, but the somewhat cold main characters can annoy the reader at times. All throughout the story, the reader wonders what resolution will come about, but the ending is weak and unstaisfying. It is a pity as the story is morally interesting. The side character of Hal's sister, Isobel, a nurse working at the war front, is quite emotional and bring a lot of warmth and depth to the character of Hal that is otherwise missing. It is an interesting piece of historical fiction, which challenges many traditional values of the time. The story is a little unpolished at times, maybe because this is Ford's first fictional novel, and is ultimately let down by an ending that fails to resolve the issues raised. However, it's still very much worth a read. It will be quite interesting to see what Ford writes next.